Samsung will celebrate its 10-year anniversary for flagships with a top-tier Galaxy S10 model that unlocks exclusive features. It's been in development under secrecy for a bit, but the Wall Street Journal got details on what to expect. Needless to say, this might be the Galaxy S10 model that everyone wants. The flagship's no-compromise model might ship with as many as six cameras. Samsung would place two on the front for enhanced selfies, and a quad-camera setup would land on the backside. Based on the report, it sounds like Samsung's exploring "richer photos and better spatial perception" with all these lenses and sensors. Meanwhile, there will be a 6.7-inch OLED display. It should stick with Quad HD+ resolution, curved edges, and an ultra-thin bezel. The final name remains unknown, but Samsung calls it 'Beyond X' internally. Another feature that should land here is 5G connectivity. Globally, carriers are building cutting-edge networks and Samsung's Galaxy S10 could be one of the first mainstream devices to support them. Consumers will appreciate that, too. 5G will enable faster, more reliable data speeds. The Galaxy S10 might get four models in total. A trio was already expected, but hearing about a foursome makes sense as Samsung could succeed in rolling out an anniversary-based edition. Samsung's Galaxy S series remains incredibly popular around the world. As for the other three models, Samsung splitting them between to serve more consumers. There will be two models that closely resemble each other. The South Korean company typically releases standard and Plus-branded versions of its flagships. 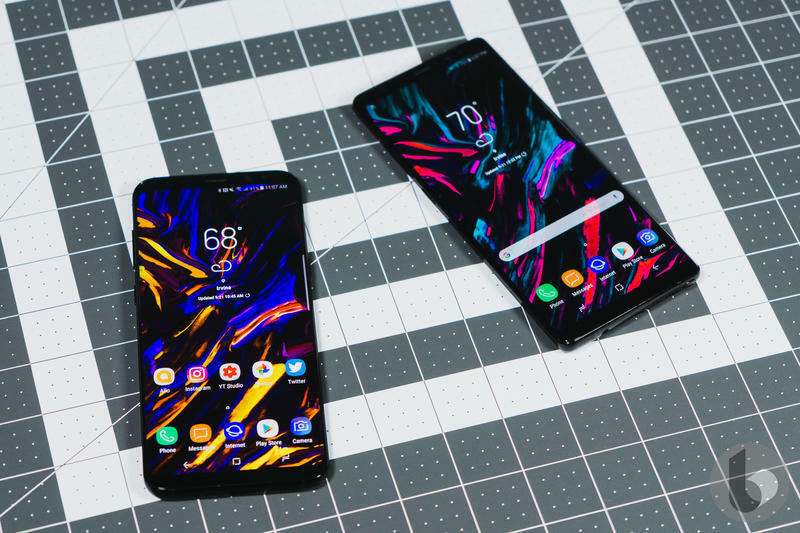 With the third model, Samsung's Galaxy S10 gets a more budget-friendly sibling that'll leave out some features. So far, it's shaping up to be a busy start to 2019 for Samsung. The Galaxy S10 should arrive in late February at MWC 2019, and Samsung's foldable phone might be there or go official slightly earlier.